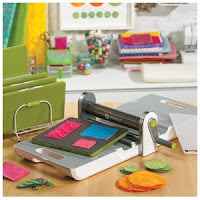 My friend Joanne, who is also a great quilter if you need one quilted, is having a giveaway!!! So go over and read about it. GIVEAWAY!!! Tell her I sent you. 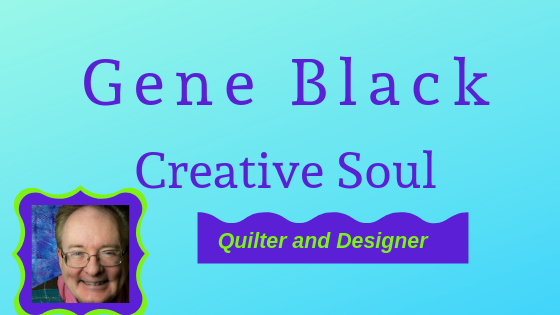 If you FaceBook, become a fan of Accuquilt and mention MY NAME - Gene Black - in your post when you join! Come on friends...help me out here. Or maybe help yourself to win it. All Accuquilt Fans on Facebook will be eligible to win a Go! cutter when they reach 5000 fans....what are you waiting for? I hear that I have been absent. Ooops. I have been a bit busy with life in general. I was glad to know someone missed me. (you know who you are!) And if you missed me and didn't tell me...that is okay too. Other than that, I made this week's Jelly Roll Quilt Along block (ppsssst look over there ---see the button? Uh..down a bit..under the Followers!) Here it is. I have made them all - seven so far. There are more there than it looks. I am considering making several table runners and just using a row of these across each end. That is, unless I come up with a layout from them that rocks my socks. But not tonight, I am exhausted. At work we did a simulation or exercise. I was in the sun all day and had to do more manual labor than I am used to doing. Right now I am yawning and wondering if I will make to till 8 pm before I crash (it is 6:25 pm now.) So forgive me for not being too funny AND for the mistakes I am sure are in this post. I am one whipped puppy tonite. I am a super lucky guy. I have one of the best moms in the world. Forever she has loved everything I make and give to her - and some of those have been pretty hideous. I don't have a photo from this year, but here is a purse I made for her two years ago. I put the yellow in the center since bright yellow is her favorite color. The bag is mostly black and white and then I used all three primary colors so it would go with most things. I has nice big pockets inside (and one small one) to keep stuff separated. The lining is a light color so that things are easy to find. Another present I gave her is a lap quilt. She really liked it when I showed it to her, so I waited till Christmas and gave it to her. It is a disappearing nine patch with piano keys for the border. It is on the back of her sofa. However, she keeps the patchwork turned to the sofa. The backing fabric is navy and teal in a geometric pattern. That is what you see when you go to her house. Ha ha. I wonder if she is 'saving' the front so it doesn't get dirty? One of my blogging friends mentioned that she didn't know I had designed fabrics. I have a couple of my designs currently available on SpoonFlower. I want you to click and see my favorite design at this point. That link will also get you to a place where you can purchase some of this for your very own. It is a 4 ounce quilting weight cotton that is very smooth and soft. These two are currently available to purchase. I have two other designs that are in the process of being printed. Once I receive them and approve them for printing, they will also be available for YOU to purchase. (and GOOD NEWS: I got word that they shipped today, so it will be about a week or less!) I will make a small profit on them -which will go toward being able to have more of my designs made available. I would love for one of the wonderful fabric companies that make our lovely quilting fabric to ask me to design for them. I have some blenders and variations of my fabrics designed and waiting until I can either afford to print them on SpoonFlower OR someone takes that chance on me. If you know anyone who you can direct my way, I would certainly appreciate any assistance in reaching this goal. 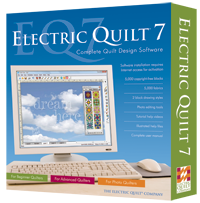 There are a few chances to win EQ7 going on. 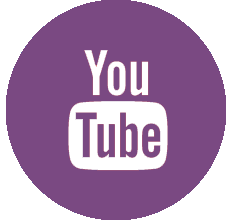 The EQ Blog listed them and I have decided to post the entire list of bloggers right here. Go and enter, but PLEASE let me win one of them. So when I saw that EQ 7 is on the way, I got excited. I would love to have this program to work on my design skills and jump to the heights. I read on the EQ BLOG that they want lots of promotion. I am here to tell you. Get ready for some kind of wonderful. Ever wonder why YOU call something by the wrong name? I can certainly send you on a voyage of discovery. Oh, and I also found this gem of a blog post. It made me laugh out loud. 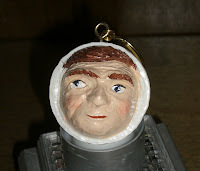 My Sordid Past with Mod Podge especially the last bit about a toilet seat.